Cleer Adheer® economical laminating sheets let you protect both sides of 25 documents. The ideal way to protect cherished artwork, important papers, favorite pictures, and more. 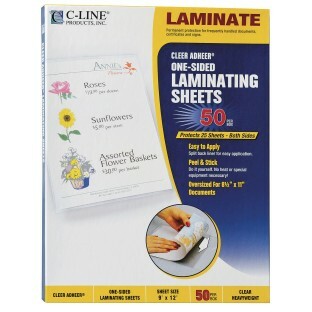 These do-it-yourself laminating sheets are quick, easy, and effective, just peel off the backing paper and apply. No heat or special equipment is needed. Will not crack or tear with age. 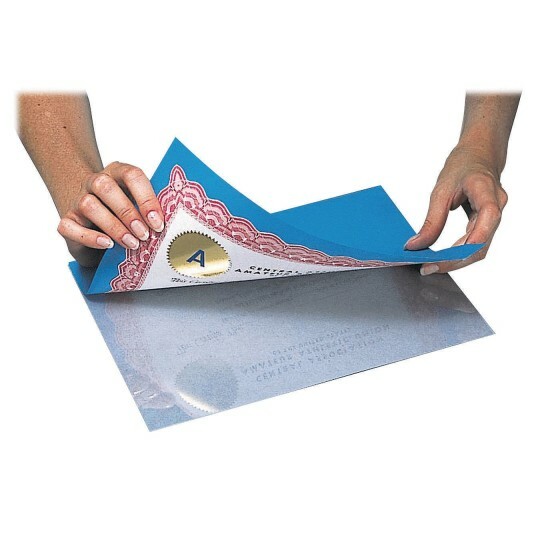 Follow the instructions for professional-looking lamination at your fingertips. Grid pattern makes trimming to size easy. Measures 9” x 12”. Comes 50 to a box.